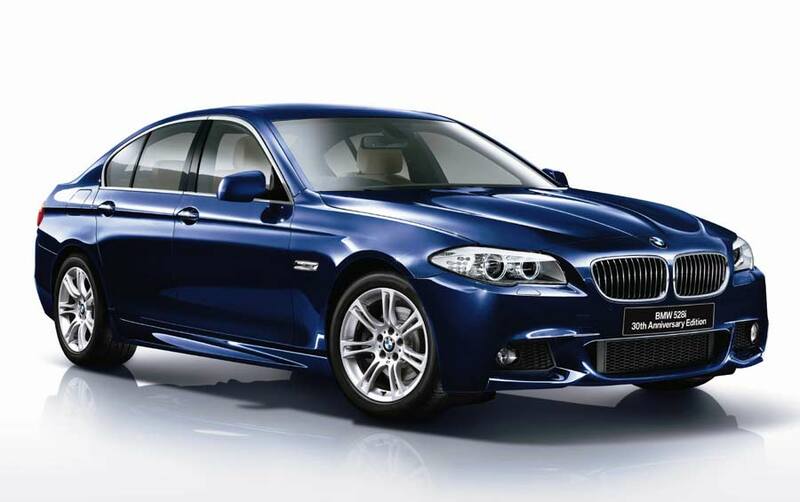 BMW has revealed a special 5 Series model, celebrating thirty years in the Japanese market. Limited to just 200 units, the BMW 528i 30th Anniversary Edition is powered by a naturally aspirated 3.0 L straight-six engine rather than the new TwinPower Turbo 2.0 L four-cylinder unit. Gears are swapped via an eight-speed automatic transmission. Visually, the Anniversary Edition receives the M Sports Package and is finished in Deep Sea Blue Metallic. The wheels are 18-inch 350M double-spoke design items. Moving inside, past the embossed sill plates, the cabin is trimmed in Beige Dakota leather, ‘Honey Brown’ satin walnut wood and BMW Individual aluminum line window frame moldings. Occupants are treated to a 600 Watt HiFi Professional System, which features 16 speakers and 5.1 channel surround sound. The price is ¥ 7,890,000, or around € 76,000.